The border crossing from Italy into the Vatican City State has to be one of the most peculiar from my journeys. I’d say it was really similar to the crossings from England to Austenasia, from Lithuania into the Republic of Uzupis and from Denmark into Christiania. The reason being, despite crossing into a new country, you are essentially still in the same city! Yes, the Vatican City State is in Rome, Italy. Many people think it doesn’t really feel like a country but I personally count it on my official country list even though they don’t have a FIFA recognised international football team, nor are they on the UN list of 193 countries. But I still had the temptation to visit of course, as it’s listed as a separate country on several different websites, including the Traveller’s Century Club and it feels different to Italy. I was staying near the main train station in Italian capital Rome and chose the perfect Hotel Papa Germano. 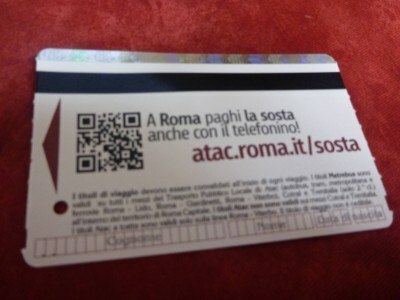 I decided on an all day Rome metro ticket to tour the city on a hop on hop off basis as I pleased. The Vatican City is one of a few countries in the world without an airport or seaport, so the only way to enter the country is overland. 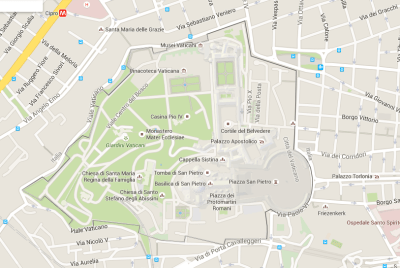 The Vatican city also has 300 metres of a train line, thanks to the St. Peter’s Station. The train line is mostly used for freight and celebrities like the Pope so it is unlikely you will cross the border by train. 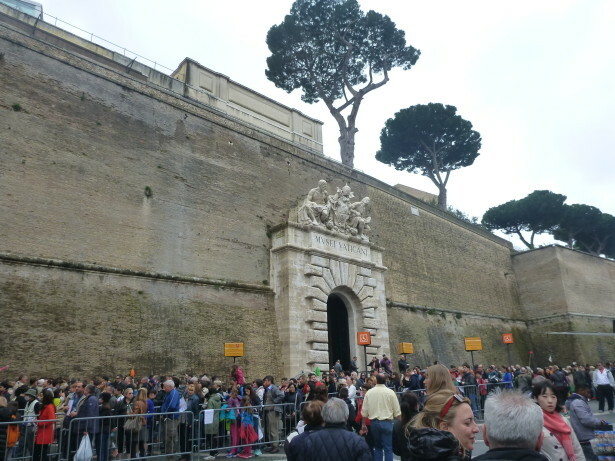 Surprisingly there are no public buses or metro trains that cross the border and while cars and tour buses do enter the Vatican State, it is most likely you will cross the border on foot, as I did. 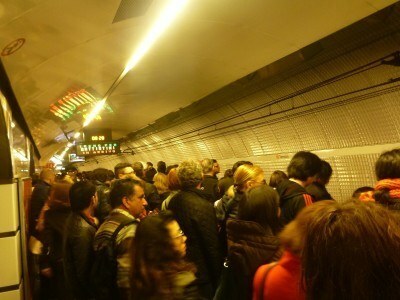 Head on the Rome Metro to either Cipro or Ottaviano San Pietro. 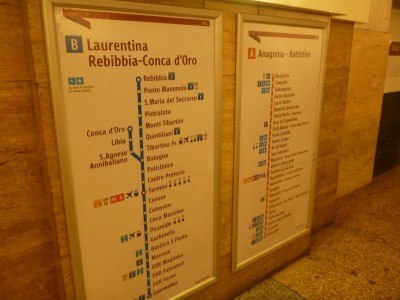 Both are on Line A of the Rome Metro. 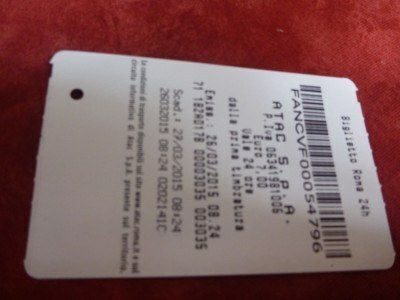 You can buy a single ticket for a few Euros, but I found it much better to pay 7 Euros for an all day ticket (and I used it a lot – day and night). When you get out at Ottaviano San Pietro, head onto the main street Via Barletta, and from here you can walk south towards the Vatican City State. The country has open borders with Italy despite the fact that some of it is behind huge walls. 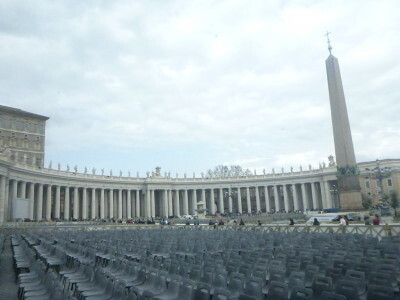 Simply walk into St. Peter’s Square, which is in the Vatican City State. You have now left Italy and are officially in the Vatican City State. It’s a huge square with lots of seats laid out in it. Entry is free and there is no border control or bag check and there is no queue. However, it can get busy especially on Wednesday mornings when the Pope is doing a speech. There is an actual thick bit of concrete at intervals that marks the border and you can tell where it is. The brickwork is slightly different and one side has the Vatican City Post Office on it, the other side you’re clearly in Italy. Parts of the border can be noticed by fences. 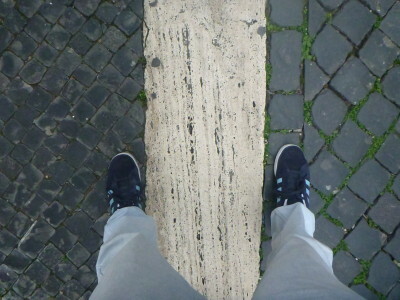 Although the foot border at St. Peter’s Square is probably the easiest way to cross into the Vatican City State, I first entered the Vatican City at the Vatican Museums Entrance. 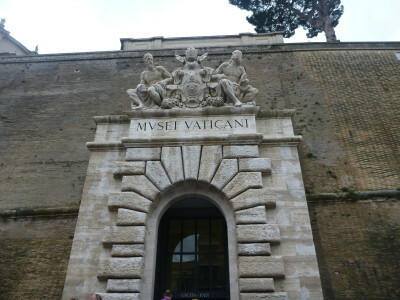 When entering the Vatican City through the Museums entrance, things are a bit more strict. Firstly the border is obviously a wall so clearly you can’e just dander through it. Everything through the other side of the wall is inside the Vatican City, the wall marks the border and things can’t be much more obvious than that. However, you will need a ticket to get to the other side of the wall. 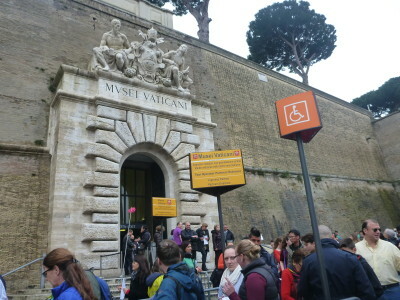 Queues can be long, so my advice is to book a guided tour of the Vatican with Walks of Italy, that way you skip the queue completely. Time is money remember! 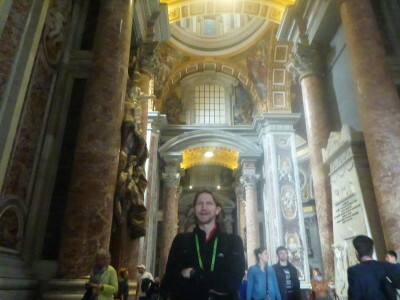 I was loving it – straight through in minutes from Italy to the Vatican City State. Our tour guide Elisa handed out our tickets at the entrance and while everyone else queued, we were straight in through the arch in the wall! Once you are through the arch, you will immediately have a ticket check, and have to go through a security check (the same as one in an airport). This is standard procedure. Bottles of water, cameras and small bags are allowed in. Large bags, dangerous items (knives, inflammables etc.) and glass bottles will have to be left in and collected later. Please respect the culture and the security precautions, especially in this time of need due to the outbreak of terrorism. I just left my main belongings at my hotel and I recommend that. 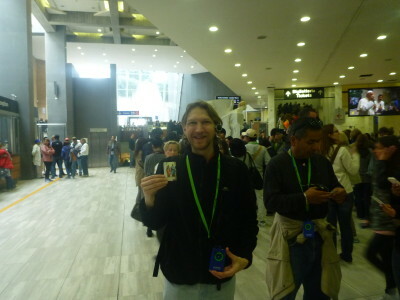 Once you are through security and have your ticket checked, you are inside a big hall. 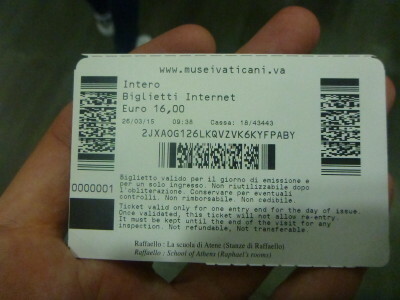 You take the escalator up and you are now in the museum part of the Vatican City State. You can travel around the museums on your own, or like I mentioned join a tour and learn a lot and avoid the queues and hassle. The country is now yours to enjoy and for such a small country there is a lot to see and do! Do you need a Visa to Visit the Vatican City State? If you are already legally allowed in Italy, then no visa is required or checked. Just make sure you have an Italian or Schengen Visa in advance. No visa is needed to visit the Vatican City state if you are already legal in Italy. Can you get your passport stamped in the Vatican City State? Decoration of one’s passport is one of my hobbies and I always love to get new stamps on my passport. 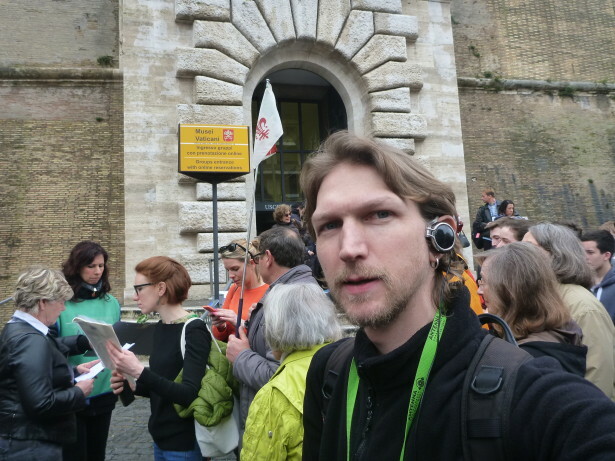 I asked a lot of people in the Vatican City State if I could get my passport stamped, including my tour guide, some officials and workers in the Post Office and I was informed that I could NOT get my passport stamped in the country. This was quite surprising as I had got my passport stamped in San Marino back in 2009 for a small fee. San Marino is the other landlocked country which is surrounded by Italy. 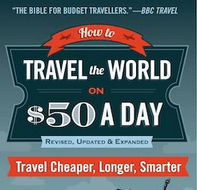 It’s more of a travel gimmick to me, I like the idea of getting my passport stamped. I even got a visa for Nagorno Karabakh and a stamp for the Republic of Uzupis. But here I could not. 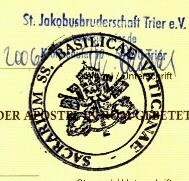 I found a rare Vatican City stamp online from someone else. 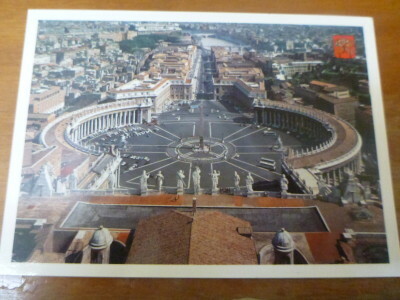 However if you post a postcard from the Vatican City State, the stamp on it is stamped with a Vatican City State stamp, so this is the nearest you might get. 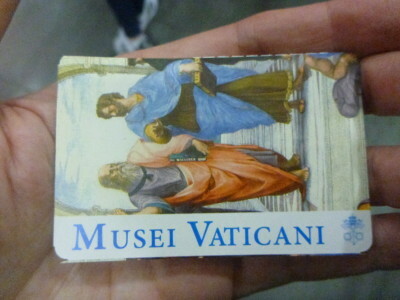 While you can’t get your passport stamped, the Vatican City State more than makes up for this souvenir wise. 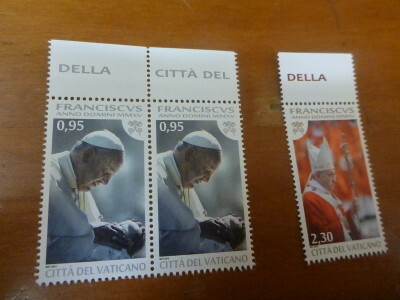 The main Post Office is excellent for picking up all sorts of Vatican City State souvenirs. In fact, even the neighbouring country of Italy sells Vatican City State souvenirs! 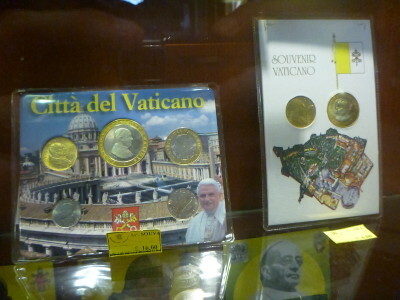 The currency of the Vatican City State used to be the Lira, but they converted to the Euro the same time as Italy did. You can get VCS stamps and coins. The coins are really only for souvenir. 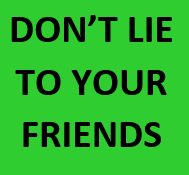 Nobody spends them, though it is unlikely they will be rejected anywhere as they are genuine Euro coins. Postcards, fridge magnets and books are also readily available. Is the Vatican City State a real country? It’s a tough question to answer, and you’ll probably have your own opinion on it, while I personally didn’t include it in my first 100 countries list, I am a bit of a separatist by mindset. I feel that a country should be allowed to be a separate country as long as most of the people that ordinarily live there are in agreement that it should be a country, which is the case for The Vatican City State, Northern Ireland and Nagorno Karabakh. And plus it is different from Italy. What country am I in? Is it Italy or the Vatican City State? 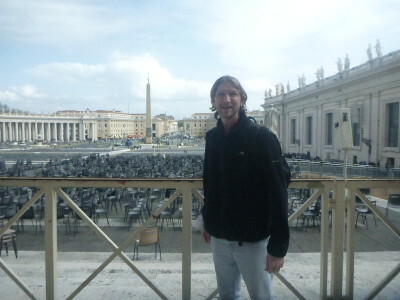 I was also asked the “is it a real country?” question many times about my time backpacking in Austenasia and both Austenasia and The Vatican City State are similar in that they are landlocked, self proclaimed and unrecognised by the UN or FIFA. The Vatican City is recognised by the UN as an “observer state” rather than a country. 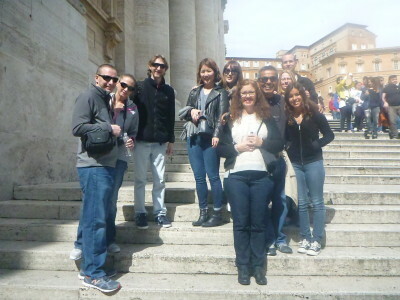 Also, the Vatican City State attracts millions of tourists per year!! Yet I was the first tourist to visit Austenasia. So make up your own mind. The Vatican City State has its own category on Don’t Stop Living and in my countries list, I’ve added it as a country along with a few other that I don’t count on my official list. Either way it is a cool place to visit. 2. The Vatican City State is the smallest internationally recognised independent state in the world by area. 3. The Vatican City State is the smallest internationally recognised independent state in the world by population. 4. For nearly 60 years during the 1800s and 1900s, Popes refused to leave the Vatican City State. 6. It was Fascist leader Benito Mussolini who signed the treaty to bring the Vatican City State into official existence in 1929. 7. The majority of the Vatican City State’s 842 citizens live abroad. 8. The Residenzia Paolo VI is the only Hotel in the Vatican City State. 9. The Vatican City international football team is not recognised by FIFA or UEFA. They drew their first ever match 0-0 with San Marino in 1994. They have only ever scored 1 goal against a country which was in a 2-1 defeat to Monaco. 10. Alcohol is legal in the Vatican City State for over 18s but there are no known breweries or distilleries in the country (back across to Italy for a pint then!). 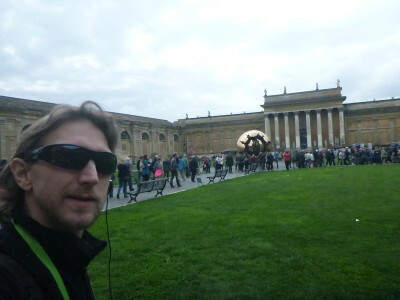 So if you are in Rome and want to head to another country for the day, I totally recommend touring the Vatican City State, but do it properly please, I don;t want to hear you stepped across the border for 5 minutes just to tick a country off your list, the Vatican City State deserves better than that. This entry was posted in Destinations, Europe, Italy, Micronations, Rome, Vatican City State, World Borders. Bookmark the permalink. While I’ve been to Rome twice, I still havent made it to the Vatican. Really bugs me as I do want to knock it off my list and that means another visit to Rome :-(. Question for you, does the country have its own civil service as such who deal with day to day administration in the vatican or does Italy deal with that, I would hazard a guess its someone in the catholic church who would deal with it. 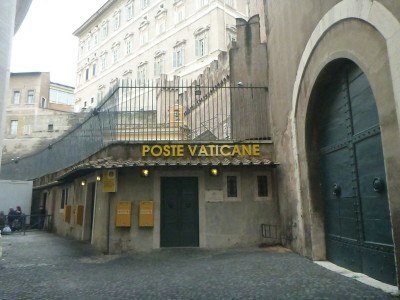 I note the post office, is it actually Vatican post men who do the deliveries or is it again the Italians? Rubbish collection, popes mates or italians? Police again home grown or would the Italians service that one? For me its those sort of things that define a country, if the Italians are doing their services then to me they aint a country. Thanks for the comment. Lots of good points and plenty to debate when it comes to The Vatican City State. I’m quite a separatist for countries and cultures and I decided to use FIFA and UEFA’s terms for my personal country count, as they have 209 on their list compared to the UN’s 193, though if I got a map out, I’d probably add about 100 more!! In the Post Office I’d say it’s a mix of Vatican and Italian staff, the guards in and around the churches are mostly Vatican religious types, the peelers that man St. Peter’s Square are all from Italy. I’m not really sure about all the others but I totally get what you mean. A lot of the staff in the bars and restaurants of Gibraltar are from Spain, they cross the border every day to work only and they don’t want to live in Gibraltar. I was really pleased that Gibraltar got UEFA membership and I would like the Vatican City to get it too as long as UEFA keeps the qualifying groups the way they are, with every team being in it until the end. Mind you the Pope once said that he would take any Catholic player that was decent and sign them up for Vatican citizenship, so they may not be as bad a team as Gibraltar or San Marino. Benito Mussolini is the one who brought Vatican City into existence? 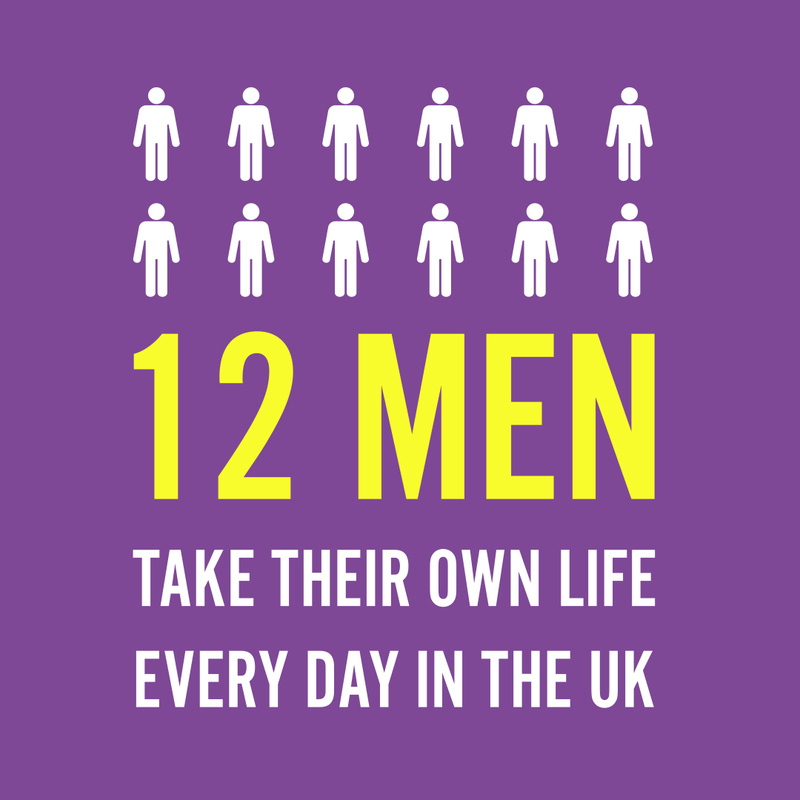 That’s shocking! Ray, that’s technically not true, Vatican City’s LEGAL status was disputed until the 1929 Lateran Treaty, it did NOT however establish Vatican City as a separate jurisdiction, as it had already been understood as being kind of a “left over” from the Papal States. Vatican City is recognised by the UN as a country. However Vatican City decided not to be a UN member. So id add it to your list if I was you 🙂 countries including the UK and the US recognise it as a sovereign nation on their websites. Thank you Jonny for posting. 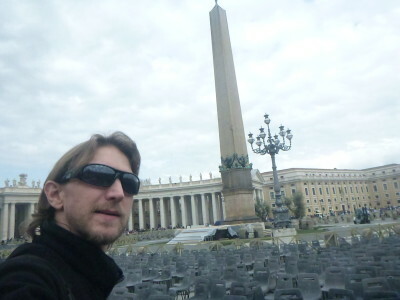 I’m planning a trip to Italy & Greece in 2019 & Vatican City was 1 of my stops, but I wasn’t sure about how to go about it? I’ve never been out of the US before. I’m looking for a trip based on History & Culture and your info. helped a lot w/that. Thanks again!